Adele Switzer is a dancer and non-profit professional passionate about the intersection between dance, leadership, and community empowerment. 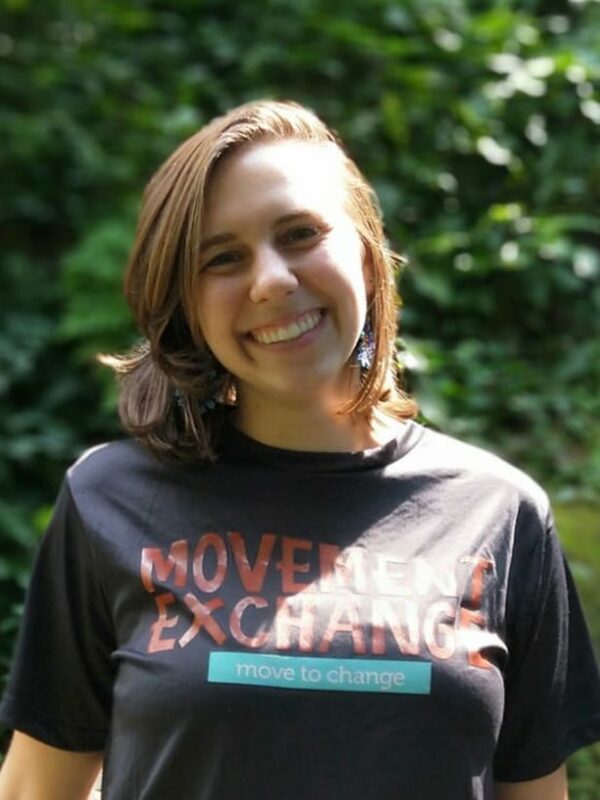 Adele is currently the co-Executive Director of Movement Exchange, a nonprofit that unites dance and service through its network of university chapters, international dance exchanges, and year-round programs in underserved communities. Adele grew up in Ellicott City, Maryland and received extensive training in ballet, modern, tap, and jazz. Her goals had been set on performing professionally until 2014 when she attended an international dance exchange to Panama with Movement Exchange. Since then, she has been committed to creating opportunities for dancers to discover their strengths as dancers, leaders, and educators. Upon graduating from Florida State University with a BFA in Dance, she moved to Panama to work with the Movement Exchange team full time. Adele believes that dance, as a universal language, is a tool that that allows all to discover their creativity, confidence, and passion. 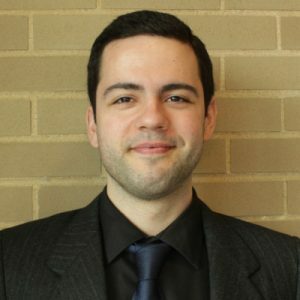 Jonathan Lopes serves as the Assistant Director of Career Development and Community Engagement at Centenary University in Hackettstown, NJ. Jonathan holds an AA, BA & MA degree with an education and social science focus. Jonathan enjoys supporting students and guiding them as they polish their potential. His best piece of advice to students: Always ask questions! 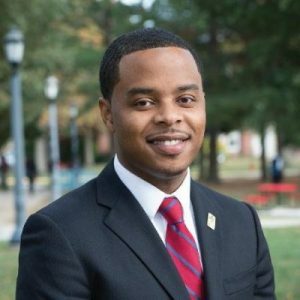 Edward is a full-time graduate student and assistant at Towson University, majoring in Human Resource Development with a concentration in Leadership and Organization Development, where he is set to graduate in May of 2019. Edward’s long-term career goal is to serve in an executive thought-leader in the Human Resources arena where he is able to effectively manage talent, positively engage employees through diversity & inclusion and manage organizational change through measurable results that further the mission, vision and business goals of the organization. The functional areas of human resources that Edward is interested in are; talent management, employee relations Diversity & Inclusion and Organization Development. Thus, Edward continues to expose himself to various professional and leadership development opportunities. Edward has a significant amount of experience in project management, community engagement, leadership & program development, and human resources. Edward is an innovative leader equipped with various transferable skills that enable him to add value to any team that he is a part of. A health and NBA fanatic, Edward’s favorite things to do during his free time are to exercise, travel, read, and volunteer to serve at-risk youth in his hometown, Washington, D.C.
Rachael Daudelin is a junior at Towson University, majoring in English with a concentration in Writing and minors in Psychology and Deaf Studies. In Fall 2017, after over 13 years of eating challenges and the social, emotional, and physical side effects that came with them; she was officially diagnosed with Avoidant/Restrictive Food Intake Disorder (ARFID). Despite learning about the disorder 5 years prior, little knowledge of the disorder and limited access to treatment delayed her official diagnosis and recovery until she was a sophomore in college. 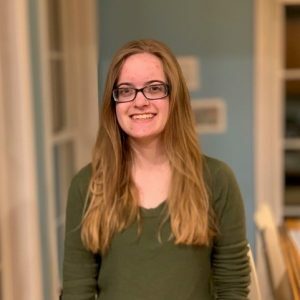 She spent the first semester of her recovery juggling an average of 4 doctors’ appointments a week with 19 credits, 2 jobs, and 2 volunteer positions. A year later, Daudelin will present at TEDx to discuss the positive power of the diagnosis that proved to her that she hadn’t broken herself. She hopes to help spread the word about ARFID so that nobody else will have to wait to understand themselves, recover, and feel better.